Is 2013 the Right Time to Buy a House? Have you noticed it yet? The growing murmur out there, getting louder every week, bubbling up in newspapers, on TV, and on news sites, and it’s telling you … to buy a house in 2013. OK, maybe that’s a bit of an exaggeration, but there are definitely a lot of experts (and non-experts) suggesting that now is the right time to buy a house — that is, in 2013. And that murmur may soon turn into a deafening roar. So let’s look at the questions you need to ask to determine whether 2013 is really the best time to buy a house. Is Buying a House Right for You Right Now? We’ll discuss the numbers in a second, but before we do that it’s important to get one thing straight: no matter what the national economic and housing market trends indicate, it only makes sense to buy a house if it meshes with your current place in life and your future goals. For example, if you have a stable career and a job that pays enough to cover your living expenses (with some leftover for emergencies/retirement), and in addition you plan on being in the same place for 3-5 years or expect you could rent the house out if you were to move away, then you are probably in a good position to consider buying a house in 2013. On the other hand, if you can’t imagine giving up your mobility, if you can’t count on having a steady income, or if you have substantial credit card debt or student loan debt (or are struggling to pay your bills each month) then it might not make sense for you to buy a home at this time. Are Mortgage Rates the Best in 2013? So let’s say you’ve decided that now is a good time for you personally to buy a house. The next question is whether it’s the right time financially. A big part of the answer has to do with interest rates. Lower interest rates are always better, obviously, because they save you money — even an interest rate that is 1% lower could save you $50,000 or more over the course of a 30-year mortgage. And if you can lock-in a low rate with a fixed-rate mortgage (rather than an adjustable-rate mortgage) that’s even better. 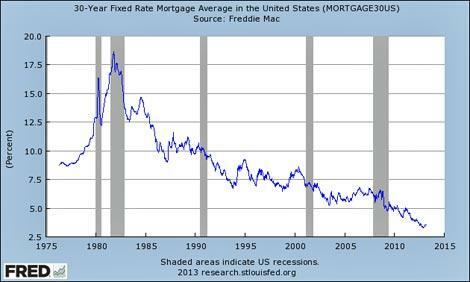 As you can see, rates are currently at about 3.5% which is lower than at any other point in the past three decades. So clearly, it’s true that this is an opportunity to lock in low interest rates. But do we have any reason to expect them to increase in the near future? That’s hard to say. Some experts have been predicting inflation and rising interest rates for the last few years and it hasn’t happened yet. These kinds of predictions are notoriously difficult to get right. However, it’s probably not a bad idea to assume that these rates will increase at some point in the future. That still doesn’t leave us with a complete picture though, because we haven’t looked at housing prices yet. Are Home Prices the Best in 2013? 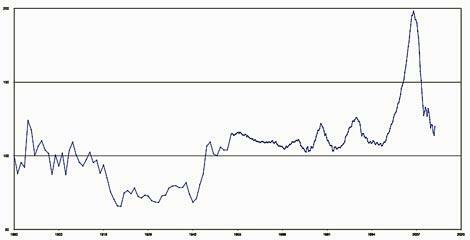 The graph is a measure of housing prices adjusted for inflation. As you can see, prices are still much lower than they were at the peak of the housing bubble. That doesn’t mean they couldn’t drop further in the coming years — or that they’ll ever return to their highs of the mid-2000s — but it is an indication that you should be able to get a reasonable price if you decide to purchase in 2013. The really important thing is to pay attention to housing price trends in the area you hope to buy a home (you can use sites like Zillow.com and Trulia.com to track prices for specific houses and neighborhoods). That data will be relevant to your decision more than the national data. And remember, life contains many surprises, and if we learned one thing during the housing market bubble and crash, it’s that you should not bank on housing prices going up. Are You Ready for the Work (and Cost) of Buying a House? If you’re still thinking this is a good year to buy a house, be sure you understand the amount of work it will require and the upfront costs that you’ll need to pay. When you buy a house, it takes a lot of effort to (A) find the house you want, (B) make an offer and negotiate with the seller, and (C) go through the closing process. Even once you have the house, you may have to make repairs on certain items. You will also need to have enough money to cover the closing costs, and you’ll need to be financially prepared for the regular costs of owning a home, which include property taxes and maintenance expenses. With that said, 2013 may be the right time for you to buy a home. And if you think through the decision carefully and do the things that are necessary before buying a house, then you are more likely to have a positive experience. Good luck!